Institute of Business Management (IoBM) has recently announced the opening of new admission for the session 2018. Institute of Business Management (IoBM) Karachi is also recognized as “CBM” college of business management. 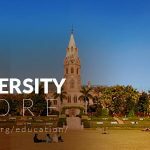 These admissions are offered by the University in different departments and discipline BBA(Hons), BE, B.Ed, BS, BSCS, MSc, MBA, MBA Executive, MS, MSCS, Mphil, Ph.D. 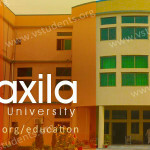 These admissions are announced on the regular basis in the morning classes as well as in the evening shift. Admission advertisement has been published by the IoBM Karachi for the purpose of announcing admission for the spring and fall semesters year 2018. 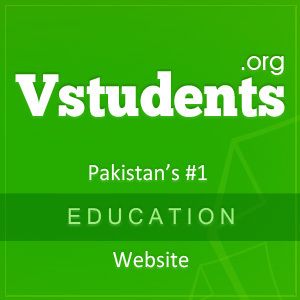 The fee structure for Pakistani national students is different than that of foreign or overseas students. 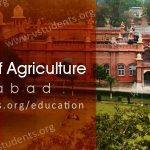 Eligibility criteria for admission into different degree programs, admission entry test, merit list and information about the financial assistance programs and scholarships are mentioned as under. The start of new admissions for the fall and spring semester 2018 is currently in progress by the Institute of Business Management Karachi IoBM in many different subjects of business administration and management, computer sciences, IT, Mathematics, Finance and banking, education, social sciences and project management. The main campus of the institute and all its affiliated colleges are receiving admission forms for admission into degree program BBA(Hons), BSCS, MSc, MBA, MS, MPhil, Ph.D. Check guidelines for IBA Karachi Admissions also for business studies. Regular and part-time students are also eligible to apply for the admission. 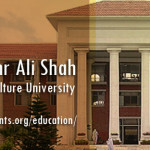 IoBM Karachi is having one of the best faculty for teaching the students in different areas of study. You can get the prospectus for the year 2018 from the admission office of the university. 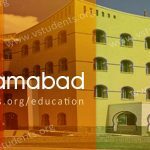 You can get details about how to download admission form, Last date to submit admission form, admission test and many more details about the IoBM Karachi from this page. The admission at IoBM Karachi is held mostly two times in a year in terms of fall and spring semesters for some degree programs. Admission Schedule for Fall 2018 is below. Apply Online: April 05- June 05, 2018. Commencement of Classes: September 03, 2018. 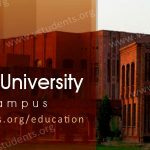 Must check Commecs College Karachi and FAST Karachi Admission Schedule. If you are wishing to get admission at Institute of Business Management IoBM Karachi, then it is compulsory for the candidate to apply online for the admission. The online application must be submitted at the official website of the institute. 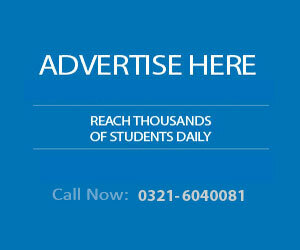 We are providing a link to apply online for admission at IoBM for the facility of the students. The applicant can register for admission online by clicking Here. IoBM Karachi latest advertisement explains the details of admissions 2018 in multiple degree programs. You may find the complete admission guidelines, eligibility criteria as well as the last date for spring/fall admissions 2018. The fee structure for different degree programs is given below for the information of the students. The fee structure for various degree programs is prepared by the admin office of the university. Following is the complete fee structure of Institute of Business Management Karachi and its affiliated colleges. Fee package of the Institute of Business Management includes registration fee, exam fee, thesis fee, supervisor fee in case of research-based degree. Further information about the fee structure of IoBM can be seen by clicking Here. Also, check top business universities for BBA and MBA in Pakistan. IoBM Karachi is giving the opportunity to the applicant to apply for admission online and submit admission form through its website. Following guidelines should be followed to apply for admission online. If you are a new candidate, then, first of all, register yourself and get the login. Submit the admission form online and take a print of it. Deposit the processing fee Rs. 3000/- for aptitude test in any designated branched of the university before the last date. Get your Roll Number Slips from the admission office of the university on the date mentioned when you receive official email. For enrollment into undergraduate degree programs(other than engineering), the candidate must have passed higher secondary school certificate with a minimum of 55% marks. For getting admission into engineering degree programs at IoBM, the candidate must have at least 60% marks in the intermediate examination. Aptitude test or entry test is compulsory for the candidate to qualify in order to become eligible for admission. IoBM Karachi is constantly introducing latest and up-to-date degree programs and offering following degree programs to the candidates who are looking for admission. Institute of Business Management Karachi offers BBA(Hons), BS (Accounting & Finance), BS Computer Science, BS Engineering, BS Economics, BS Entrepreneurship, BS logistics, BS Media Studies etc. The masters and MS programs of the IoBM are MBA, MBA Executive, MBA Educational Management, MS Economics, MS Mathematics, MSc Psychology. IoBM Karachi is offering Ph.D. degree program which is Ph.D. Business Management, Ph.D. Computer Sc, Ph.D. Economics, Ph.D. Mathematics, Ph.D. Statistics, Ph.D. Education etc. Entry test or aptitude test is mandatory for getting admission at Institute of Business Management Karachi. 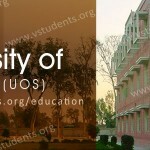 For this purpose syllabus of aptitude test is given in the prospectus of the university. Applicant should prepare the syllabus and take the test on the given date and time. Candidate must pay Rs. 3000/- as a processing fee of the entry test at the time of submitting admission form. Merit list of the selected candidates for admission is displayed by the admission office of the university as per given schedule. If candidate name is listing in the merit list, then he can get further details about the admission from the admission office of the university. We have mentioned the required document to be submitted along with the admission form in the above paragraph. 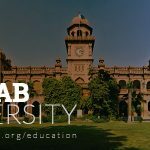 IoBM Karachi offers three types of scholarships to the students, which are merit-based scholarships, kinship-based scholarships, and need-based scholarships. Application form for applying for scholarships are available at the admission office of the Institute during the office hours. Institute of Business Management Karachi is offering this educational assistance with the help of many organizations and agencies including HEC for the welfare of the students.